I am so excited to be partnering with kate spade new york to introduce you to their Make It Mine collection of handbags! These “convertible” bags are designed so that you can change out the flaps to create a style of your own! How cool is that?!? In this collection there are three handbag styles to choose from, the Byrdie, the Candice, the Camila and a gorgeous backpack! Honestly the hardest part for me was deciding which bag to get… because I wanted them all (and I still think I want the backpack haha)! There are also so many adorable flaps to choose from! I decided on the Byrdie, the middle size of the three bags, and to go along with it I chose the leopard print haircalf flap and the shearling flap. When I received my Byrdie bag and two flaps I was beyond excited to get started on this project! The quality of a kate spade bag is always on point and the flaps are just as stunning. 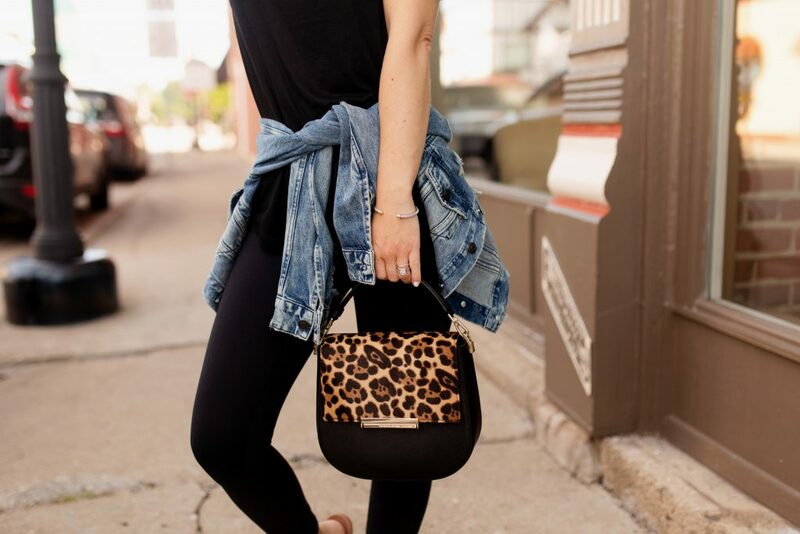 The leopard flap is trimmed with leather and the shearling flap is so plush. They also each come with their own duster bags for storage. What I love most is how easy it is to seamlessly change out the top flap to create a whole new look. There are two snaps inside to back pocket and you simply unsnap one and snap in another! Even when using the back pocket, as a pocket, you can’t see the snaps! And can we talk about getting mileage out of your handbag – it can easily go from day to night, and even fun and frilly (you have to see this Kitty Cat flap!). One bag with a million possibilities! 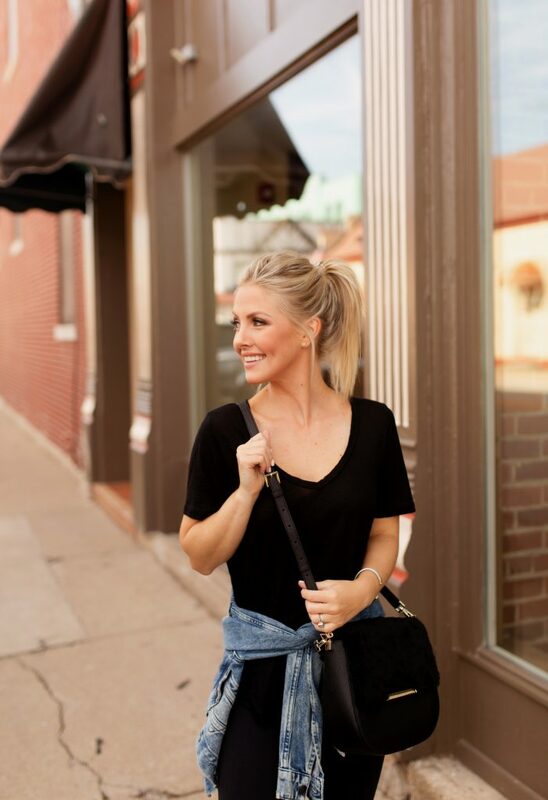 Another added touch that I always appreciate is that the longer, cross body, straps on each of the handbags are detachable which gives you even more ways to wear them! 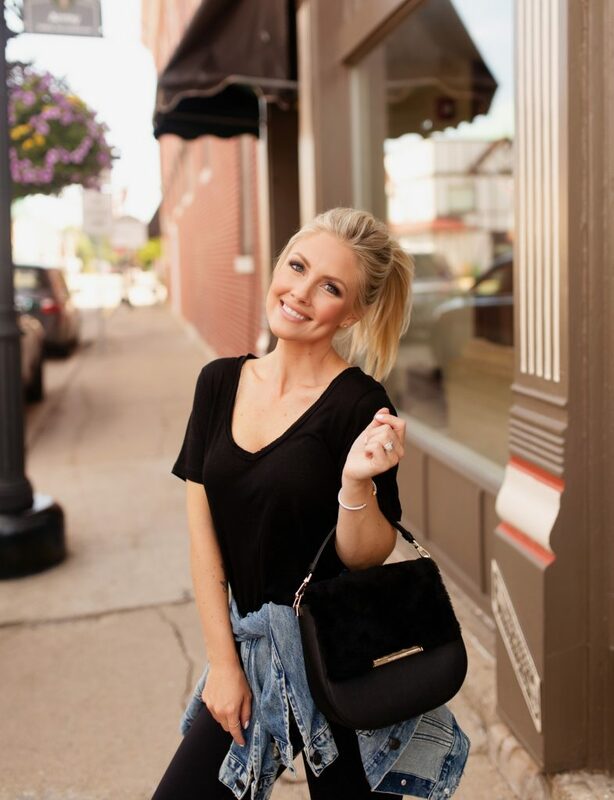 Shop my items below along with a few of my favorite accessories I found while browsing the site! It’s hard to mention the kate spade new york brand without touching on how it’s amazingly talented founder, Kate Spade, left this world too soon. She was a beautiful spirit and loved by so many. I will remember her creative genius and beautifully handcrafted designs which I have loved for many years. If you or someone you know is struggling with depression or thoughts of suicide I urge you to seek help. This life is so worth living, even through the hardest of times. This post was sponsored by kate spade new york however all opinions are my own.